This book started out quite promising. Unfortunately that promise didn't come true for me. Around the mid point the pace went wacky fast and the end brought about so many twists and turns that I was rolling my eyes. Lovely language and a great premise didn't make up for the eventual problems. With that said, I would be willing to give this author another try. Oh you beautiful, beautiful book! How is it that I forgot just how fantastic this is? This might make my list of books to re-read yearly. I decided to re-read this for a number of reasons: It's on my Classics Club list. It's an alternate for the 2013 TBR Pile Challenge. The movie is coming soon. It's a slim volume that works well for read-a-thons. Can I pat myself on the back for making such a brilliant decision? I can and I have. Graphic novels are the perfect kind of books to read for read-a-thons. They are like sweet palate cleansers between wordier novels. Persepolis first attracted my notice when it was banned by Chicago public schools. Oh you're going to ban this book? Then I am going to be first in line to read it. DOWN WITH THE MAN! 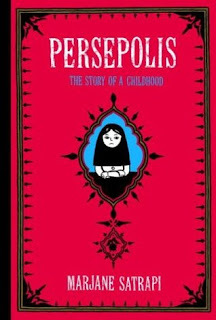 Persepolis is a brilliant tale and one that I'll be requiring my daughter to read as part of our homeschool curriculum. I've been hearing about this book for almost as long as I can remember. I remember thinking, what's the big whoop? It's a comic book about mice? Huh? In my defense that was before I knew about the wonderfulness of graphic novels. 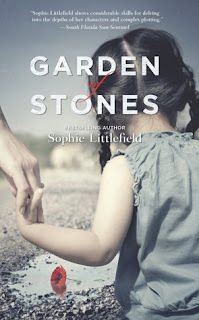 This book crawled its way into my heart and I can't stop thinking about it. The power of this novel nearly knocked me over. If you haven't read this I'm begging you to do so. Begging. Maus is . . . it's a must read. I recommend it to everyone too. Persepolis was so good. I am glad you liked it too! It's been years since I read The Great Gatsby. I may have to reread it now that the movie's come out. Everyone in the WORLD should read Maus. I can't believe it took me so long to get to it. I had to re-read Gatsby before seeing the film. I'm a bit nutto about that. The movie looks so glamorous, can't wait to check it out! The Great Gatsby is a wonderful book. And I really liked Persepolis and ts sequel. There is a movie version (animated in the same style as the book) which I want to share with my kids soon. Banned books are irresistible, aren't they? DOWN WITH THE MAN! Ha ha! You are awesome, Jennifer. Ha ha, thanks! When will they learn that banning books is a bad idea all around? Sigh. Really, the banning of books make me want to read them even MORE! So glad you liked Maus, it's just so wonderful. Have you ever read Blankets by Craig Thompson? If not, add it to your graphic novel list for next Read-a-Thon, it's one of my faves. I can't belive a book is banned in USA (or any of its states). I have the book, I want to read it soon! 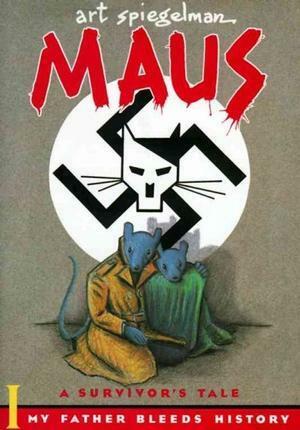 And I have also read a lot of reviews of Maus, it must be a great comic about the world war II. Loved these short reviews! I just won a copy of Gatsby, so I'll be re-reading it soon. As for Persepolis, I've heard so many wonderful things about it, that I think its about time I read it. My BFF loved Maus, but I never read it - seems like I really should. I'm glad because I love writing short reviews, lol ;) I highly recommend both of those graphic novels. I'm going a bit crazy waiting for each of their follow-ups to arrive! I'll have to find out why Persepolis was banned. Perfect timing to re-read Gatsby, definitely! 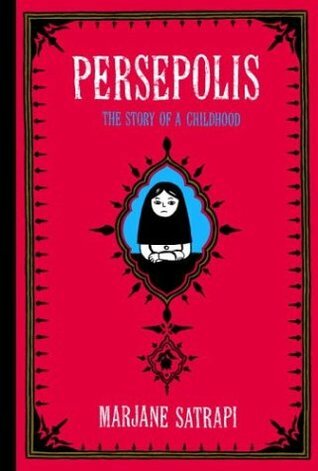 It would seem that I need to get on the graphic novel train, because now I really want to read Persepolis and Maus! My book club read The Great Gatsby together a few years ago and watched the Robert Redford film version. The new film looks much darker. It's on my list to watch. Such a powerful story packed into that slim novel! I'm very excited to see the new film. I'll probably be seeing it by myself though, lol. I think the readathon is the perfect time to read or re-read Gatsby. I have to admit that I have never read a graphic novel, but I've heard such great things about both of these that I know where I should start! I think I'll have to reread The Great Gatsby. I read it soooo long ago and I do want to see the movie so it's probably smart to reread. Maus??? I'll have to look into that. I really cannot recommend Maus highly enough! Persepolis and Maus both have a sequel. My students love Maus - they kind get bugged eyed when they see a book with a Nazi symbol on my shelf. The animal symbolism is cool. And Gatsby..."whose smile understands you just as far as you want to be understood and believes in you as you would like to believe in yourself." I didn't appreciate it enough either until I started teaching American Literature. It's become a once a year read for me too. I can't wait for the new movie. I've ordered both of the sequels and I can't wait to get my hands on them ;) I'm so excited about the new movie. The previews are marvelous! 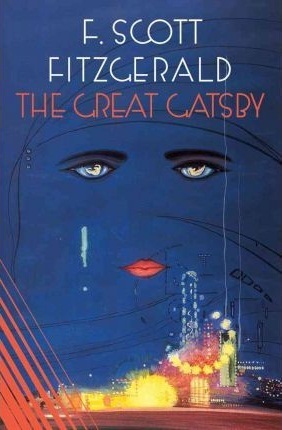 I am soooooo overdue for a re-read on Gatsby. It's been so long, I honestly don't even remember what it's about!! I need to fix that before I see the movie. I almost checked out Maus for this readathon, but I worried it would be too dark. I'm glad to hear you didn't find that -- I'll have to look for it next time! It's dark subject matter, true. But it's told in an accessible way. You don't feel like you're being hit over the head with misery ;) It's a great read! I've only read Gatsby (which IS a beautiful book), but Maus sounds interesting! Love Maus, too, and Maus II! It's one of those books that I kicked myself for waiting so long to read. I imagine I'll feel the same way about Persepolis when I finally read it. The new Gatsby movie...try as I may not to, I am going into it with much skepticism. Can't wait to hear what everyone thinks of it. Oh, Gatsby -- the novel of my heart! I read it for the first time in high school, and it remains the only book I've read more than twice (four times, I believe). I'm SO excited about the movie -- and really must read it again! Leo as Gatsby? Yes and please. Yes and please! :D As I re-read it I kept picturing Gatsby as Leo, Nick as Toby, etc. Please be a good movie, pleasssse! I'm hoping that about eight of us will go to see The Great Gatsby on the weekend for a Mother's Day get together. Sounds like a good excuse to catch a great film that it seems we've been waiting for for ages! I love the book too, with its lyrical prose. LOVE! I hope you liked it Melinda :) I think it's a little gem!